The new body of work presented draws reference from the artist's constant preoccupation with her own psychological and physical displacement, inviting dialogue around the themes of lived vs. imagined realities, the notion of 'unnatural nature' as well as evolutionary dislocation. 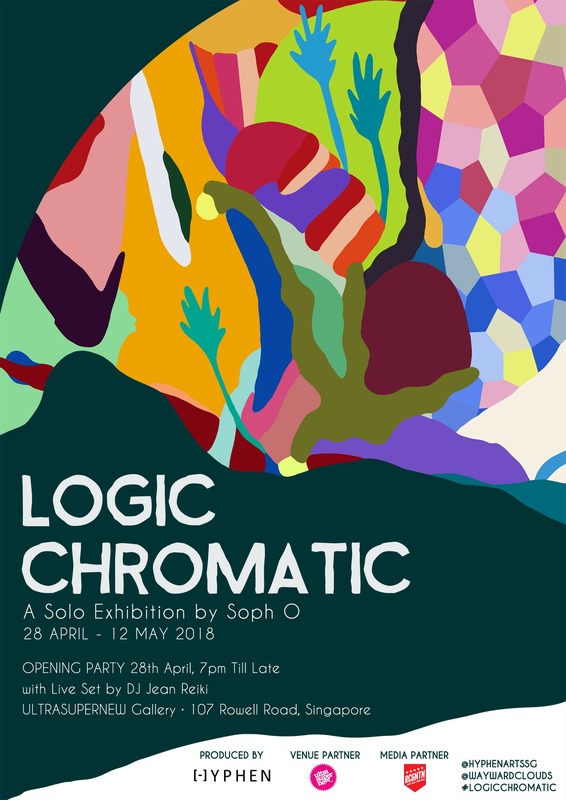 Soph O explores these themes through her experimentation with form, materials and processes, creating an immersive show of paintings, illustrations, works on wood and site-specific installations. Soph O is a Singaporean visual artist who collects and draws imagery that borders between the mundane and extraordinary. Her practice revolves around capturing transient moments and everyday stories translated through the notion of repetition, reiteration and recurrence onto drawings, paintings, digital illustrations, installations and murals. She graduated with a Bachelor of Fine Arts from the Elam School of Fine Arts, New Zealand in 2010 and has explored various forms of her work in Singapore, Malaysia, Indonesia, Cambodia, China, India, Australia, New Zealand, London, Ireland, Belgium, Austria, France, Spain and Mexico.